A new restaurant opened near our cottage last year, Henning’s Local. The menu offers delicious dishes sourced from local farms, including the poultry and fish, and best of all, every meal is served with a plate of popovers. Popovers have been on my mental to-do list for awhile, and inspired by my first meal at Henning’s Local, I went out and bought a popover pan (as it turns out, a standard muffin pan works just fine, but I love to have an excuse to go to a kitchen supply store). 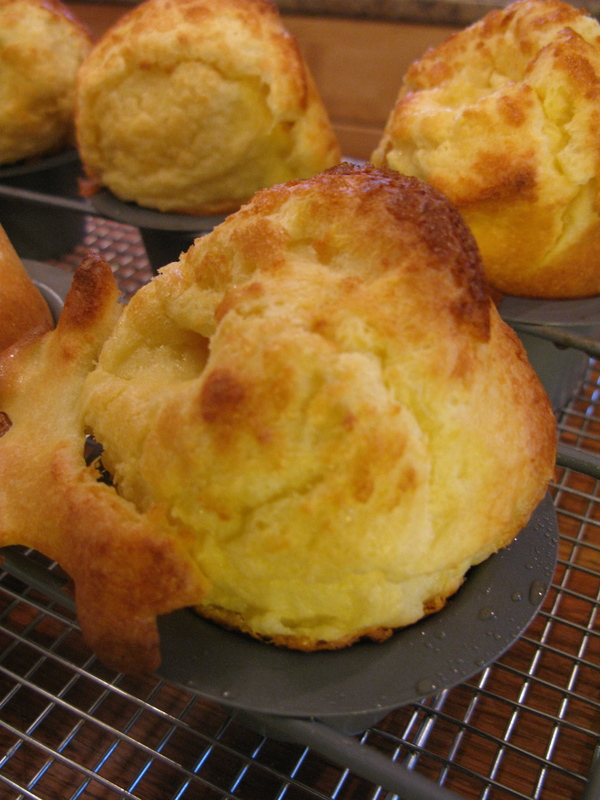 The challenge of finding a popover recipe is that they seem to vary – popovers must start in a cold oven, the oven must be at 450 exactly when the popovers go in, you must stir the batter till “frothy”, you should only stir the ingredients till blended, and etc. I tried a few recipes with varying degrees of success until I found the best results with King Arthur’s recipe – the popovers definitely had no trouble popping up. Popovers are now my favorite bread-y accompaniment to meals, especially with a hot bowl of chicken soup after a three mile walk in brisk country air. 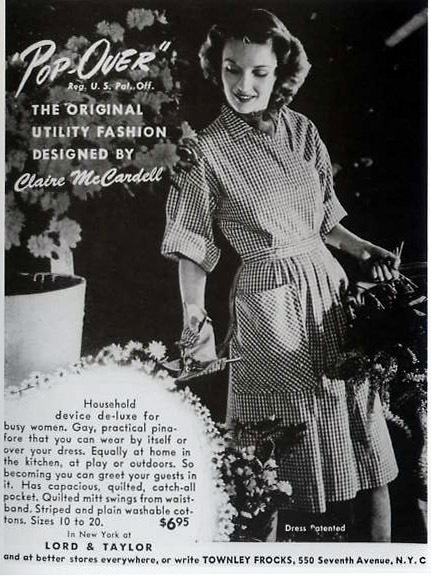 Special attire is suggested, but not required, when making popovers. This is fabulous. 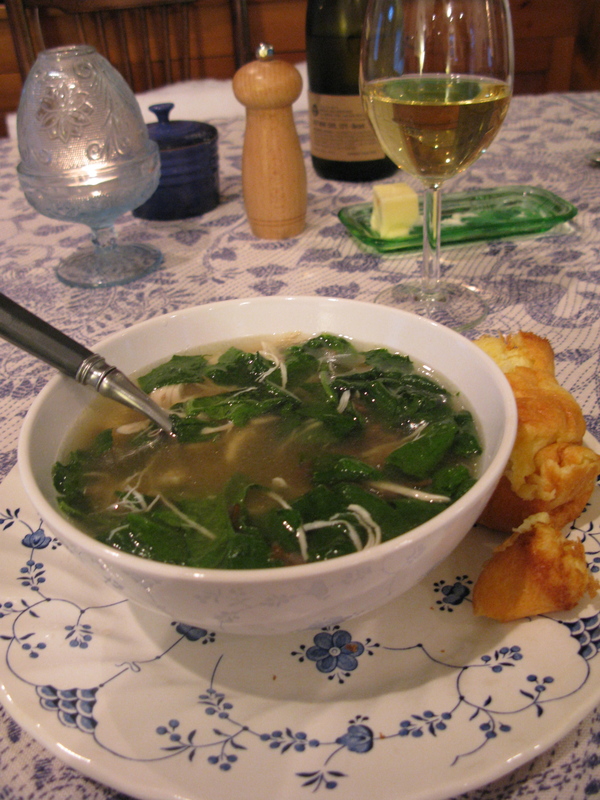 And the “chicken-soup-after-a-walk-in-the-country” sounds soooo Martha Stewart.